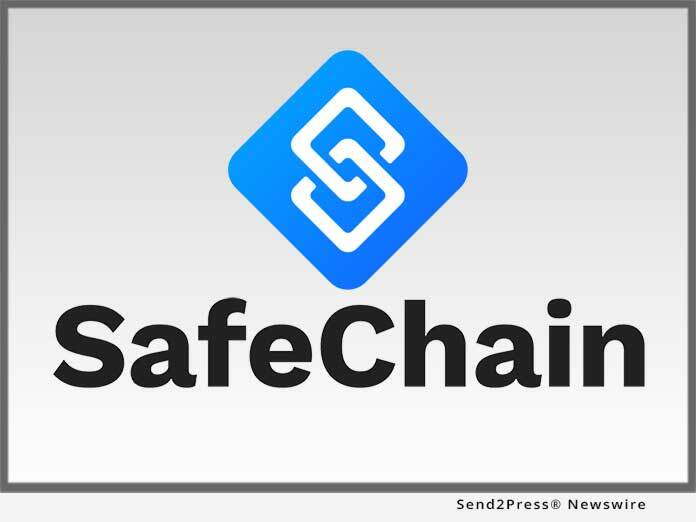 COLUMBUS, Ohio, Feb 26, 2019 (SEND2PRESS NEWSWIRE) -- SafeChain, the industry leader in wire fraud prevention software and blockchain implementation for land title, announced today that Cottonwood Title Insurance Agency, Inc., one of the largest independent title agencies in Utah, has adopted SafeWire(TM) to protect the wire transactions facilitated by its agents across the Wasatch Front. "At Cottonwood Title, we pride ourselves on our speed, accuracy and ability to close transactions on schedule, but equally as important to us is ensuring that our clients' funds do not fall into the wrong hands," said Cort Ashton, vice president of escrow at Cottonwood Title. "SafeWire provides our customers with peace of mind in knowing their wire transactions are protected without impacting the excellent service our customers and partners expect." "The pace at which real estate wire fraud is increasing has far outstripped the industry's ability to address the issue through traditional means," said Tony Franco, CEO and co-founder of SafeChain. "Technology like SafeWire is the industry's best hope at stopping wire fraud in its tracks, and proactive title agencies like Cottonwood Title are really leading the way for the industry in terms of implementing solutions to address this issue." SafeChain makes real estate transactions safer and modernizes operations for both the public and private sectors of the land title industry. Built by real estate title experts in collaboration with banking technologists, SafeChain tackles the inefficiencies of the home buying and selling process from the inside-out to help title companies, mortgage bankers, realtors and local governments decrease costs and deliver a better experience for customers. Leveraging the most advanced technologies, including blockchain, SafeChain increases the speed and security of real estate closings to deliver faster transactions and better consumer confidence. For more information visit: https://www.safechain.io. Since 2000, Cottonwood Title has provided professional title and escrow services for homeowners and investors throughout Utah. With six offices across the Wasatch Front, our premium services are available to over 2 million people. We're known for the personal relationships we develop, and our proprietary process helps us move quickly and close transactions with accuracy and on schedule. For more information, visit https://www.cottonwoodtitle.com.